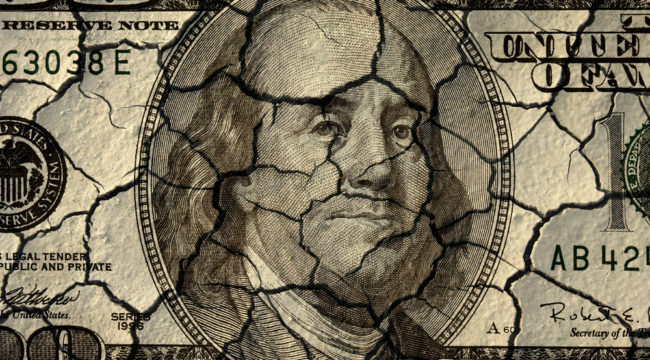 Jim Rickards delves into some history here and tells us that after 43 years, cracks in the dollar are getting larger. The global landscape is losing confidence in the dollar once again. China is moving forward with any oil-exporter that accepts yuan for oil can exchange the oil for gold on the Shanghai Gold Exchange. Eventually a tipping point will be reached where the dollar collapse suddenly accelerates. Investors should acquire gold & other hard assets before that happens.